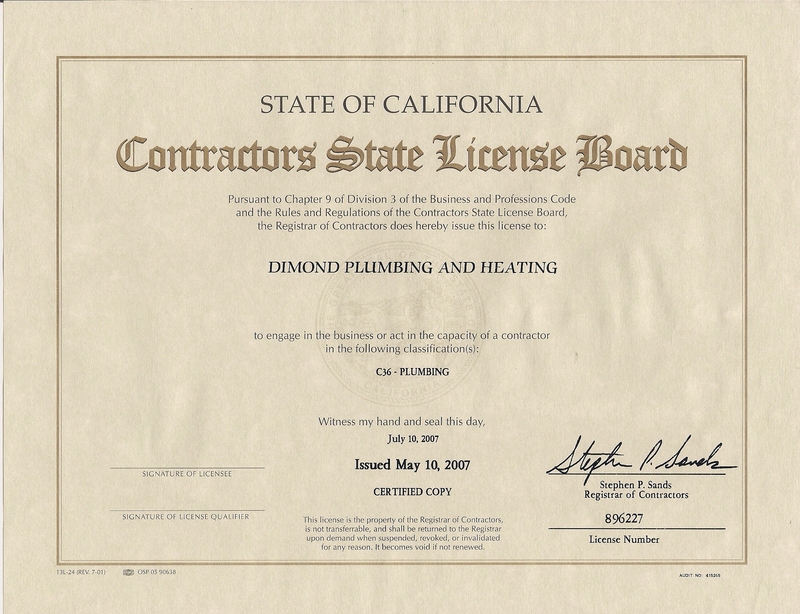 Dimond Plumbing & Heating Co. was founded in 1910 when many families and businesses were relocating to the east bay after the 1906 earthquake. Oakland’s “DIMOND DISTRICT” was home and for many years Dimond Plumbing & Heating was located on the corner of MacArthur Blvd. and Coolidge Ave.
Now in it’s third generation of ownership, Dimond Plumbing & Heating Co. continues to deliver quality work at fair prices, offering value and integrity on every service call. Dimond Plumbing & Heating Co.